Smart home security systems are an integral part of smart home control. Today, we take a look at what some of the optimal systems offer and what to look for when purchasing a security system for your home. While there are plenty of great options out there, there are a few essentials to keep in mind when considering which one to purchase. 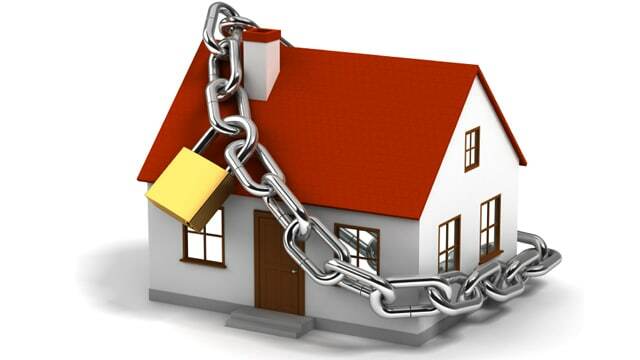 One thing to consider when looking for security systems is how “smart” the system truly is. Also, how much that particular system has to offer your home. Some smart home security systems are more comprehensive than others. Nowadays, there are systems that can monitor not only for intruders, but also fire, smoke, carbon monoxide, flooding and more. Before considering a system for your home, think of what else you might want to integrate into the system for added security of your home. Another thing to consider when comparing smart home security systems is what type of technology is used in their security system? For example, the security system made by the company Frontline actually has a technology that can detect breaking glass within a radius of 20 feet from each sensor. However, it also offers a sensitivity to the extent where it avoids false alarms from things such as glassware breaking on the kitchen floor. It also offers sensors to monitor dangerous areas of the household such as the medicine cabinet, and can easily be expanded with additional sensors after installation. The simple act of exploring various security systems can sometimes show you additional features you weren’t even looking for, but would be beneficial for the safety of your household and family. If you already have other smart home control devices, another factor to consider is compatibility. Can this smart home security system be integrated with your other interface(s) for your pre-existing control devices? Can those systems communicate with each other to improve efficiency or security? Some security systems are more compatible with various interfaces than others, so this could prove to be a vital factor in which smart home security system you choose. As smart home control is becoming more and more popular, there are a rapidly growing variety of smart home security systems. In comparing these systems and considering some of the factors mentioned in this article, it should help you to narrow your choices down to the ones that are most ideal for your home and needs. Pingback:Smart Locks That You Need to Take a Long Look At.